What qualities do Americans look for and see in their Presidents? Thanks to the miracle of Web 2.0, a number of leadership experts have created online surveys that ask and try to answer this very question. And they want you to join in the process! So let’s take a look, maybe learn something about leadership and have some fun!  The leadership lessons we all can learn from this very public event.  The leadership qualities people think are most important for U.S. Presidents.  The leadership skills exhibited by the candidates themselves. Making Politics Work For You which includes Business Lessons from Past Presidential Politics; Leadership Lessons from Past Presidential Politics; Managing the Biggest Transition of All; How to Deny Distractions and Be More Productive and Becoming the Leader You Were Born to Be. There’s lots of interesting and useful material here and it’s definitely worth downloading the report. (Visitors) are split on which presidential ticket has the strongest leadership traits. 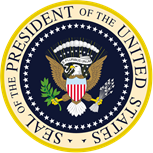 Respondents are rating U.S. presidential candidate Senator Barack Obama higher than Senator John McCain on all ten leadership characteristics such as insightful judgment and vision. They are also rating Alaska Governor Sarah Palin higher than Senator Joe Biden on all ten leadership characteristics. Results for this survey are displayed in some snazzy flash graphs with the candidates results side by side. You can view ratings by candidates, characteristics and demographics. This poll is still open so get in there and vote! The flash graphs that compare the candidates qualities against a 5 point scale are pretty interesting. There are lots of different combinations of qualities that can be selected and compared. According to the website HelpMeVote08.com, Americans view both Barack Obama and John McCain as below average leaders. The latest results from the website show that Americans give Obama a slightly higher grade than McCain overall, but neither candidate scores better than “average” on a single leadership characteristic. 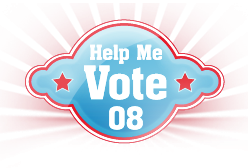 HelpMeVote08.com is a leadership analysis tool created by Dr. Tom Heemstra, the founder and president of Mach 5 Leadership Performance. In the end none of these survey really tell us anything new but they are fun to participate in and to check out the results. And who knows, maybe the practice will get a few more Americans out to vote! Tagged with Election 2008, Governor Sarah Palin, President Barack Obama, Senator John McCain, Senator Joseph Biden.